…the politics even hotter. Do Americans adapt to climate change—as President Donald Trump’s environmental policies suggest—or do local, state and federal governments mitigate? Most U.S. greenhouse gas emissions are human roused—the result of burning fossil fuels (coal, oil, gas) for heat, electricity and transportation. Greenhouse gases include carbon dioxide (84%), methane (10%), nitrous oxide (4%) and fluorinated gases (2%). The most abundant greenhouse gas, carbon dioxide (CO2) is the product of burning fossil fuels. 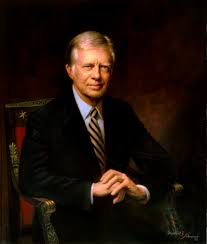 “We must look back at history to understand our energy problem, the transition from wood to coal to oil and natural gas,” President Jimmy Carter (Democrat, 1977-1981) said. 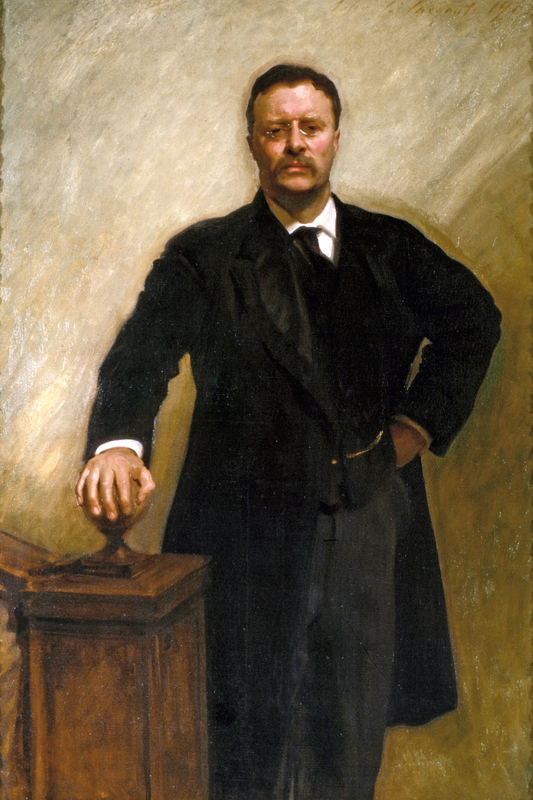 Carter, the alleged father of alternative fuels, was the first U.S. President to openly criticize America’s dependence on foreign oil; to install solar panels in the White House. In October 2018 the United Nations Intergovernmental Panel on Climate Change reported that “greenhouse gases have been rising steadily and mean global temperatures along with it.” The scientists’ warnings are dire. From 1880 to 2012 the average global temperature increased by 0.850 C.
Carbon dioxide (CO2) is the greenhouse gas produced in the largest quantities and the United States is the second-largest emitter. China is first; the European Union third, India fourth, Russia fifth, Indonesia sixth, Brazil seventh, Japan eighth and Canada ninth. The United Kingdom, a departing EU member, passed the world’s first Climate Change Act in 2008, an Act which included legally binding commitments to reduce carbon emissions. Residents of Alexandria’s U.S. Route 1 residential corridor, informed of the United Nations Montreal Protocol in 1987, the Kyoto [emissions reductions] Protocol in 1997 agree. But rather than develop mass transit competitively, market its metro stations fittingly, the city completes auto-driven streets. Carbon dioxide (CO2) molecules, once emitted, remain in the atmosphere for maybe a century. United Nations scientists confirm that “oceans have warmed, the amounts of snow and ice have diminished and the sea level has risen.” Rising seawaters already flood Miami on sunny days. From 1901 to 2010, the global average sea level rose by 19 cm as oceans expanded due to warming and ice melted. Yosemite’s largest glacier the Lyell has receded dramatically: from 1.2 million square meters in total volume in 1883 to 270,426 square meters in 2015. “We, the people, still believe that our obligations as Americans are not just to ourselves, but to all posterity,” President Obama continued. “We will respond to the threat of climate change, knowing that the failure to do so would betray our children and future generations.” The sea ice extent in the Artic has shrunk in every successive decade since 1979, with 1.07 x 106 km2 of ice loss per decade. Still President Donald Trump [Republican, 2017-] ignores the warning(s). Is the future dark, especially given the more than 540 Political Action Committees now invested in U.S. election politics? President Trump withdrew the United States from the United Nations Paris Climate Accord in June 2017. Climate “scientists have a very big political agenda,” he said [60 Minutes, October 2018]. In truth America cannot legally withdraw from the Accord until November 2020, Trump’s presidential reelection year. Political condemnation aside, it has taken the city of Alexandria more than a century to resolve reported sewer overflows. “At this day, when the sewers from Washington and Alexandria run into the river, together with so much filth, it is dangerous for any one to drink of it,” the Alexandria Gazette wrote in 1918. “There is alarming evidence that important tipping points, leading to irreversible changes in major ecosystems and the planetary climate system, may already have been reached or passed,” the UN 2018 Report continued. “Ecosystems as diverse as the Amazon rainforest and the Arctic tundra may be approaching thresholds of dramatic change through warming and drying. Mountain glaciers are in alarming retreat and the downstream effects of reduced water supply in the driest months will have repercussions that transcend generations.” Governor Jerry Brown recently announced that his drought stricken state will stick with mandatory water restrictions. Avoiding the damage “requires transforming the world economy at a speed and scale that has ‘no historical precedent.’” True to the cause, in April 2014 Jimmy Carter urged President Barack Obama to reject TransCanada Corporation’s Keystone XL tar sands pipeline. Obama did, Trump did not. Unpopular when he left the President’s office in 1981, Carter now “feels vindicated.” His Georgia farm fields are packed with solar panels; 34 states have developed climate action plans, and, in 2016, the United Nations Civil Aviation Organization adopted international carbon dioxide (CO2) emissions standards for aircraft. The United States struggles to meet the UN deadline. Now the Trump administration wants to rollback fuel economy standards for cars. Hold them at or near the 37 miles-per-gallon mark. California and other states favor regulations which hold fuel economy standards to 54 miles-per-gallon by 2025. Some states, General Motors also ask that automakers total in-state sales include a percentage of zero emission vehicles, electric cars. Wishing all a happy, healthy and productive New Year! Columnist’s Note: Readers seem to agree. Hemp has a Hectic History [OTC, June 2018]. Voters in Utah and Michigan, as part of the November midterm elections approved the use of medical marijuana. Two-thirds of U.S. states concur. Late summer the U.S. Food and Drug Administration approved Epidolex cannabidiol (CBD) oral solution, the first FDA-approved drug that contains a purified drug substance derived from marijuana. The CBD oral solution will be used to treat seizures associated with two forms of epilepsy.